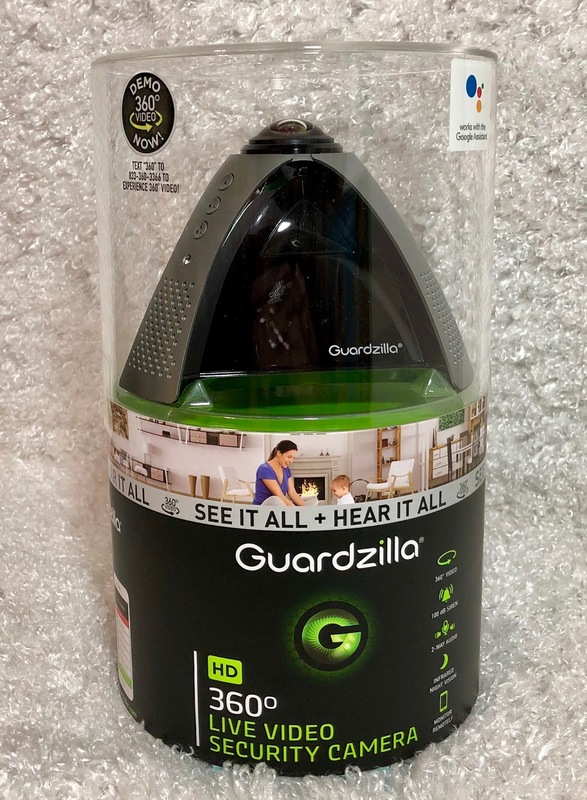 The Guardzilla 360 Indoor All-In-One HD Camera is the first Wi-Fi security camera to deliver 360° live streaming video from your phone. Swipe your finger across the app screen to see the entire room. No more wondering what's going on in the parts of the room that you can't see, with Ghardzilla you can see (and hear) it all. Other features include a 100dB siren, two-way talk, 360° night vision and motion detection (with phone alerts), geo-fencing and more. With it's simple plug and play system you just plug in the unit, download the app, and connect to your existing Wi-Fi network. The app will guide you through the rest of the set-up process (which is a breeze). From there you'll be able to start viewing your entire room just by swiping your finger across your phone screen. It's really quite amazing how clearly you can see your room. For privacy reasons I opted to not show my own house in my post as we are in the middle of a remodel. Not sure if this is the right model for you? Check out the Guardzilla website as they have several different options to choose from for both indoors and outdoors.